How about a round of applause for Golf Channel for Monday’s wall-to-wall coverage of U.S. Open Sectional Qualifying, which they dubbed "Golf’s Longest Day." Starting with their "Morning Drive" show until they signed off at midnight from Merion GC, Golf Channel had reporters filing live reports from all 11 Sectional Qualifying sites. I don’t know about you, but I checked in a bunch of times throughout the day, then settled in last night for three or four straight hours. What they captured was precisely what I like about the Open -- that it’s open, at least to anybody with a 1.4 USGA index or better. If you’ve got the game and a check for $150, sign up and give it your best shot. Yesterday, like every year, there were stories of joy and triumph and there were stories of heartbreak and disappointment. One of those guys coming up just short was 18-year-old Brandon Matthews, who has been a standout on Temple’s golf team all year. At the 36th hole at Century CC in Purchase, N.Y., Matthews was forced to take an unplayable lie, just off the green. He figured he needed to get up-and-down to perhaps get into a playoff, or qualify as an alternate for the Open. Instead, Matthews proceeded to hit a flop shot into the hole, for a 67, and what appeared to be a spot in the field at Merion. Alas, a few holes behind him, another 18-year-old amateur, Gavin Hall, birdied the final four holes to deny Matthews’ dream. For every sad story, there were stories of success – Gavin Hall, for example. Golf Channel was all over them. Unless you see these things play out, it’s easy to forget that the best stories from the Open often come from the journey to get there, not the actual championship. Few of these Monday qualifiers will make the 36-hole cut at Merion. We’ve seen them time and time again – guys who shot 67-68 to get into the Open then shoot 81-82 once they get there. I’ve interviewed a hundred of them over the years. They’re amateurs like Brandon Matthews and Gavin Hall, or club pros who give it a shot every year. It’s the pressure, or the grand stage, or maybe they just spent everything they had in the Qualifier. Even when they miss the cut by a mile, they generally have one thing in common: a smile on their face. So what if they missed the cut? They made it into a U.S. Open and, at least for a week, got treated like golfing royalty. They get that sense of accomplishment and they get the excitement of sharing the experience with their friends and families. They get issued player’s badge, which they can keep for the rest of their lives, and they often get assigned a locker three or four lockers down from Tiger or Phil or Rory. It’s all they can do not to jump up and down like a kid on Christmas morning. For most of these guys, making it to the Open is a dream come true, the highlight of their golfing life. Even if they miss they cut, you can never take that a way from them. So, thanks, Golf Channel, for reminding us of what the Open is all about. There is no grass growing under Joe Bausch’s feet. Okay, that’s corny, I know, but Bausch, our resident golf addict and course photographer, has recently uploaded another dozen courses to the Bausch Collection, our ever-growing archive of course photo galleries. 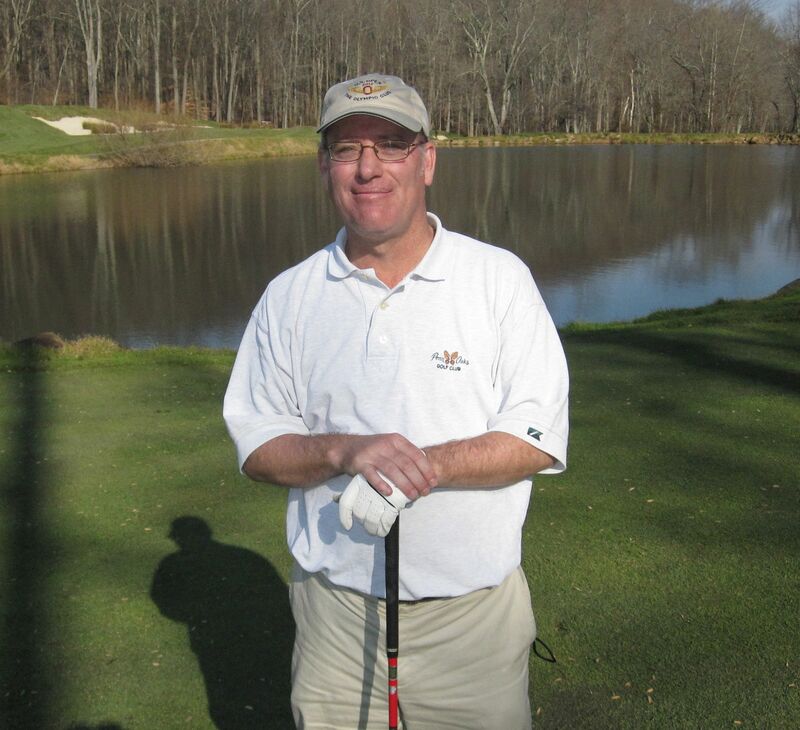 He’s now up to more than 160 courses in Pennsylvania, New Jersey, Delaware and Maryland. So far as I can tell, this is the most comprehensive collection of golf course photos anywhere in the Philadelphia region. I was delighted to hear from one MyPhillyGolf regular reader that he uses the Bausch Collection exactly as Joe and I envision it – as resource material and a reference guide. The guy I was talking to is the general manager of a club in the area. A while back, when he was in the midst of a job search, he would go directly to the Bausch Collection whenever someone mentioned a certain course or club that might be hiring. I’ve talked to other people who wouldn’t think of playing a course without first checking it out through the Bausch Collection. As I written several times before, Joe doesn’t do this for a living; he’s chemistry professor a Villanova. But golf and documenting each new course he plays is his passion. Joe is also heavily involved in the restoration of Cobbs Creek GC through Friends of Cobbs Creek. He’s in these two videos I did about the restoration effort (Part 1, Part 2). Joe is an equal opportunity photographer. He plays and shoots the best of the best (Merion) and he plays and shoots plenty of the working-man’s courses (Twining Valley). Basically, he never met a course he didn’t want to photograph. 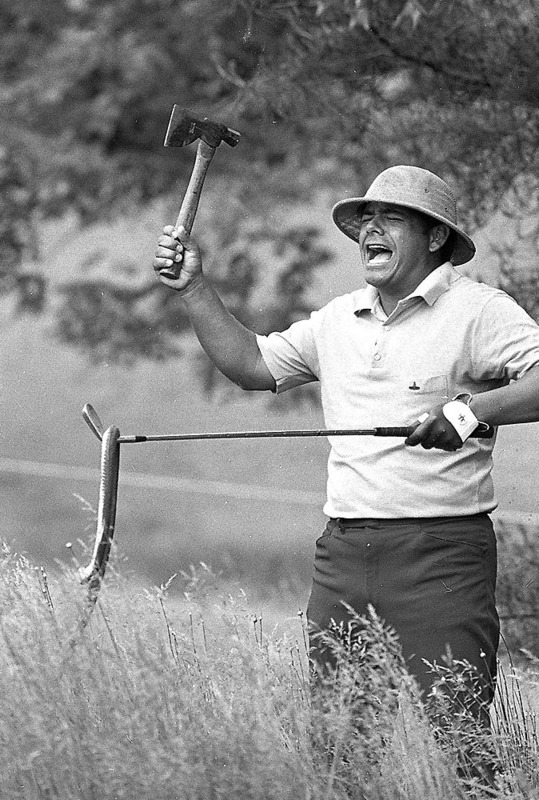 Watching all three hours of last night’s rebroadcast of the 1971 U.S. Open playoff between Jack Nicklaus and eventually winner Lee Trevino at Merion was like climbing into a time machine. I felt like Marty McFly in "Back to the Future." -- Jack Nicklaus might be the greatest player of all time but you could grow a 5 o’clock shadow for him to pull the trigger over a putt. I mean, come on, I don’t know how he survived his career without back problems. Every putt, as Jack leaned over the ball for an eternity, I was wondering: What is he waiting for? What is he thinking about? Do you think he knows or cares that we’re all going bonkers? -- I had forgotten what a unique, stylized yet fabulous and effective swing Lee Trevino had in his prime. I could watch him for another three hours. -- Even back then, the rough at Merion was impossibly thick, long and gnarly. You could lose a small child in there. -- How about those candy-apple wing-tippy saddle shoes? They were quite the rage back then. I had a pair myself, with the little flappy things. I wore them all through high school and into college. If my non-golf friends had seen them...well, I made sure they never did. -- Did you catch the quick greenside interview with Trevino after the final round of regulation? He said of Merion, "It’s a great golf course; it’s a thinking man’s golf course." Not much has changed. -- Even then, Merion was a pint-sized Open venue. They said it was the first time the Open was a sellout. They also said the gallery was limited to 14,000 per day because the grounds were limited to 126 acres. This year, the gallery will be 25,000 per day. Could be close quarters so make sure to bring your breath spray. 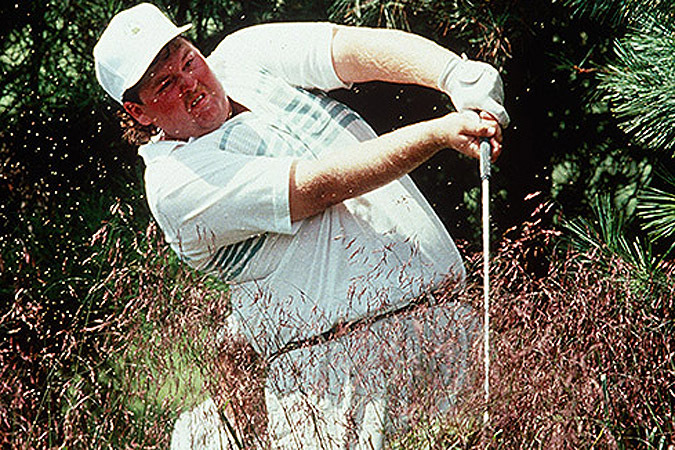 -- Even then, the predictions were that the pros would "tear old Merion apart." "They certainly haven’t so far," said the commentator. "Only one player is under par." -- Finally, as my golf writer buddy Jeff Silverman just called to point out: How about those marshal uniforms? Wow! "Have you ever, in your life, seen anything so bad?" said Jeff. I won’t claim to be a golf historian. 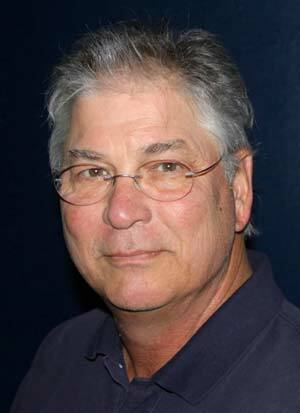 In that regard, I bow to my friend James W. Finegan. But I have played the game for 50 years and I am old enough to have watched Jack Nicklaus in his prime, and I was among those who resented him in real time when he dethroned Arnold Palmer. I’m also a huge fan of Jack Nicklaus. I have interviewed him often and I have the utmost respect for him as a man and as a father, and I revere his accomplishments as a player. It’s just that I think he took longer over a putt back then than he did later in his career -- or so it seemed as I watched that ’71 playoff.